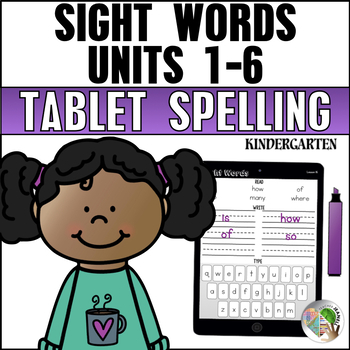 This packet is a fun way for students to practice and review all 88 kindergarten sight words. Students will read, write, and "type" each sight word on a printable tablet. 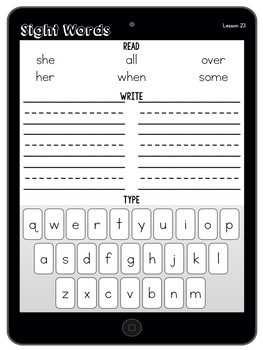 Check out my Sight Words and JOURNEYS custom categories for more resources. 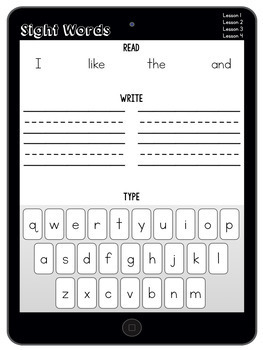 JOURNEYS Disclaimer: These materials were prepared by Teacher Jeanell and have neither been developed, reviewed, nor endorsed by Houghton Mifflin Harcourt Publishing Company, publisher of the original JOURNEYS work on which this material is based.